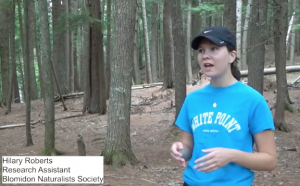 An informative, up-to-date documentary on Hemlock Wooly Adelgid in Nova Scotia has just been released by the Blomidon Field Naturalists. Posted: September 11th, 2018 under Conservation, Forests & Forestry. 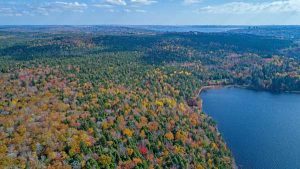 Join the Ecology Action Centre and the Sandy Lake Conservation Association as we go for a hike at Sandy Lake and in its environs. 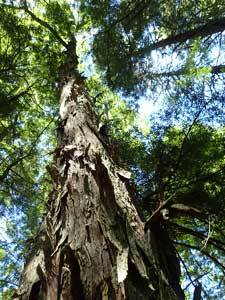 Learn about the biodiversity of this special place (old growth forest! wetlands! ), and how it fits into the new Green Network Plan for HRM. See for yourself why this area has been proposed as a regional park, and hear the story of why supporters of the area have been fighting for its protection. Doors open at 4:00 p.m | Presentation begins at 4:30 p.m.
Light refreshments will be provided and a cash bar is available. 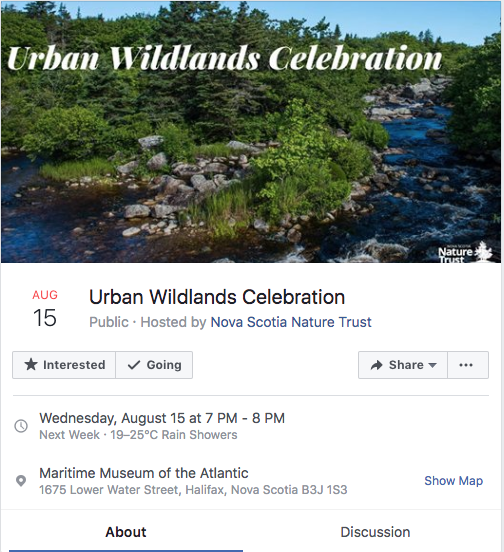 Please join the Nature Conservancy of Canada (NCC) and partners, The Shaw Group, and HRM for the launch of our fundraising campaign for the Halifax Wilderness Park. 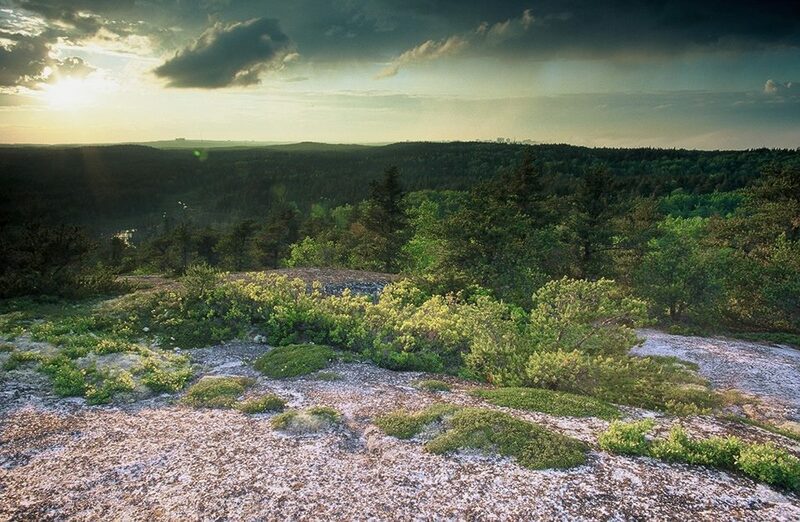 The site of the proposed Halifax Wilderness Park is mere minutes from downtown on Purcell’s Cove Road. With lakes for swimming, hiking trails to explore, and stunning panoramic views of the city, the property also contains rare forest and intact wildlife, including more than 40 species of breeding birds. 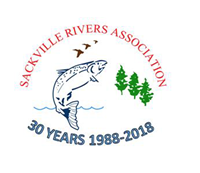 “Last year, community contributions to the Sackville Rivers Association’s (SRA) Annual Dinner and Auction helped us raise over $8,000 for the improvement and conservation of the Sackville River and surrounding watershed. “The SRA continues our mandate of conservation, including in-stream habitat improvements at various locations throughout the watershed, fish stocking, and river clean-ups by volunteers of all ages. We have continued improvements to our Bedford-Sackville Connector Greenway trail that now stretches from Bedford Basin to Lower Sackville and is used by thousands of walkers, cyclists and runners and are currently constructing phases 2 and 3 of Section B of the Sackville Greenway from Glendale Drive to Sackville Drive along the Little Sackville River. Posted: September 10th, 2018 under Uncategorized. So reads a final Tweet from this morning from Our HRM Alliance. 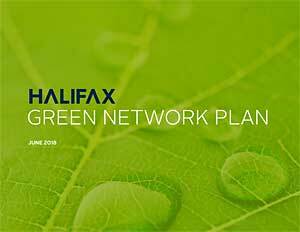 View Council eagerly approves Halifax Green Network Plan by Yvette D’Entremont in the StarMetro Halifax (Aug 14, 218) for more details and comments by Walter Regan of the Sackville Rivers Association. Posted: August 14th, 2018 under Conservation. “Join us on Tuesday, August 14th at 9:00 (ish) to show your support for the Halifax Green Network Plan! “The Green Network Plan will FINALLY be going to Council that day at 10:00AM. We want to be there with signs, smiles, and support to ask the 16 Councillors to vote YES to pass this incredible plan. The Councillors typically begin arriving around 9:00, so pop by while you can during that hour, or come and stay the whole time! “We’ll be having a sign-making party the night before at Ecology Action Centre. Either make your own sign, or borrow one of ours for the day! “Join us in celebrating the protection of new urban wildlands that protect important freshwater and wildlife habitats. “Please RSVP to: events@nsnt.ca (902) 425-5263. The Mission-Monarch Blitz is scheduled this coming week of 28th July through the 5th of August. 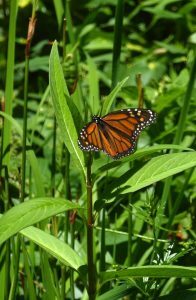 I am sure you would like to help document the status of the Monarch butterfly in Nova Scotia. If you know where there is milkweed growing that is where the Monarchs reside to lay eggs, feed and pupate. At the moment there are all forms present (eggs, larvae, pupae, and butterflies). 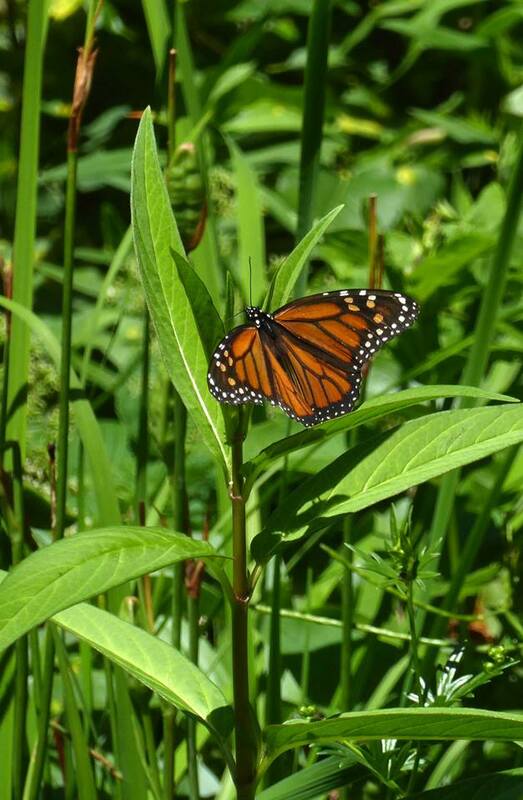 We would like you to search patches of milkweed and report what you discover. There is an easy one page form to report your results at http://mission-monarch.org. If you find nothing, that is of value also. Posted: July 28th, 2018 under Conservation. “Hello HFNers! Karen McKendry here, in my new capacity as Wilderness Outreach Coordinator with the Ecology Action Centre. 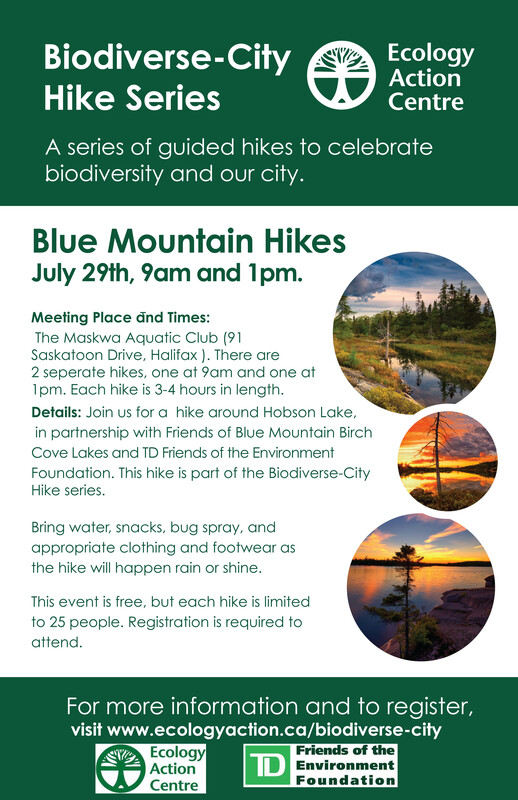 I’ve been given the wonderful task of leading hike that connect people with the region’s biodiversity, and was wondering if you would promote the first hike of a series on your social media streams. 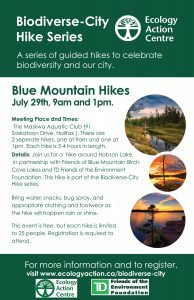 “On Sunday, July 29th, I’ll be leading the first of our Biodiverse-city hikes, at Blue Mountain – Birch Cove Lakes. We’ll explore the area’s biodiversity and examine how the area connects with the city’s Green Network Plan. We’ll also introduce people the other area’s new stewardship group. I hope HFN members will join us! Attached is a poster about the event. … and congratulations and thanks to you, Karen, from HFN , on your new position. Note: space limited, so sign up right away if serious..
Posted: July 23rd, 2018 under Walks. Posted: July 4th, 2018 under Walks. Posted: June 24th, 2018 under Uncategorized. 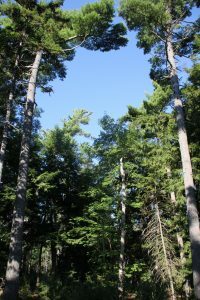 Old forests are special ecosystems in Nova Scotia, partly because of their rarity and partly because of their awesome biodiversity and big, old trees. Most of the province’s old forests are deep in the rural forest. On the other hand, are there any in the city? Peter Duinker, Dalhousie Professor and Acting Director of the School for Resource and Environmental Studies, and his students searched for old forest in six large wooded municipal parks and documented the best we have in the urban core. In the talk, Peter describes these examples of old forest and compares them with data from some of the province’s iconic rural old forests. 7:30 p.m. at the Nova Scotia Museum o Natural History on Summer Street, Halifax. All welcome! Posted: June 3rd, 2018 under Talks.